When I was young I was fascinated with my grandfather, Jack. Jack was a man I only knew from pictures, in all of which he just seemed so handsome and mysterious. I could also see that he looked a lot like my dad, and I had eyes like his. He died when my father was a young teenager, and I knew his death was difficult for my father to talk about. I did learn, fairly young though, that Jack had been born illegitimate, and frankly, the story sounded so romantic to me. The story, as my father knew it, was that my great-grandmother, Louisa, had fallen in love with an American man; he, in turn, had fallen in love with her. The inevitable happened and she fell pregnant. She would have been just 17 at the time. The story also went that the man asked her to marry him and go back to the US with him, however, she refused him, and he returned to the US without her. Jack was born on 1 July 1919 after the end of the first world war, meaning he was conceived around early October 1918. My father believed that the man’s family must have been aware of the existence of Jack, since care packages of clothes were apparently sent regularly until the early 1930s. He even remembered some specific ‘facts’; that the man’s name had been Thomas Barr, he had two sisters (the ones sending the care packages) and was possibly from Massachusetts. My uncle also thought his name had been Thomas Barr, so it seemed reasonable that this was his name. These were all the facts I knew for a really long time. 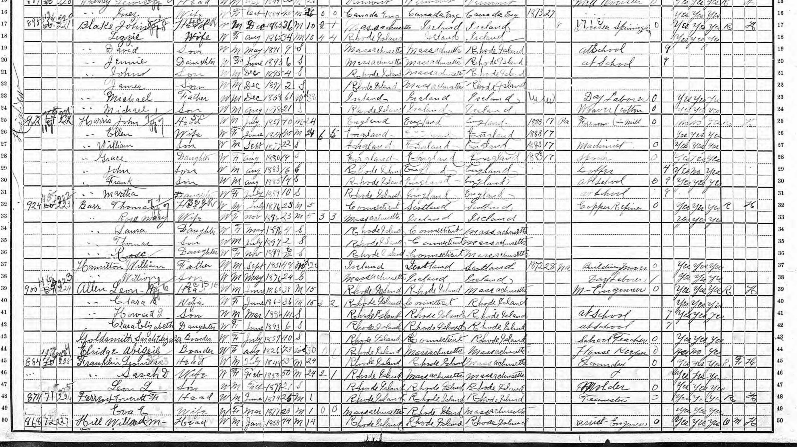 I first started seriously trying to identify who my great-grandfather might have been when I was around 21, which was a few years after I had become interested in genealogy, but the first time the internet had opened up the opportunity to search online for records. I also had become really good friends with a professor at a Massachusetts college; she had a friend who had access to the 1900 census for the US (this was well before it was available online to me in the UK). This friend offered to search for Thomas Barr for me. I crossed my fingers, but unfortunately, the only potential record she found was in Rhode Island, not Massachusetts, and although he was the right kind of age, he did not have two sisters. I was out of leads. I periodically tried searching again to see if any new records had surfaced, but got nowhere. I did manage to find some interesting history about why Americans were in Liverpool towards the end of the first world war. It was a major place for troops to be billeted before they were sent elsewhere, and also there was a US naval hospital there. 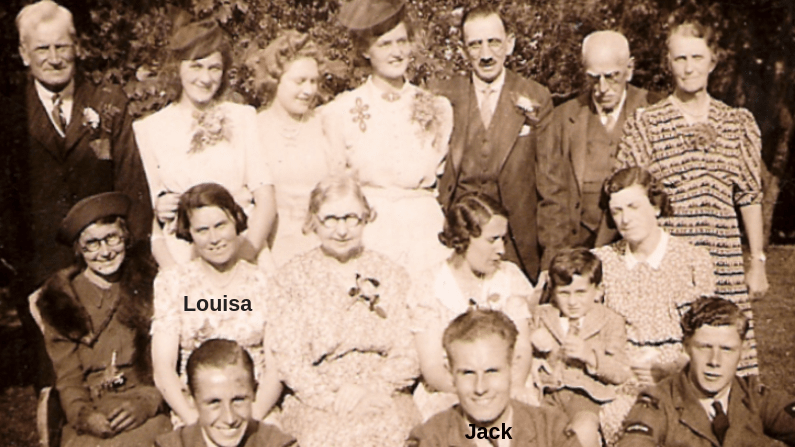 For some reason, I had initially thought great-grandpappy (as I thought of him at the time!) had been a merchant seaman, but then it occurred to me that he was probably US navy. My father had thought he was navy, in fact, he specifically recalled him being an ensign. By now US military and naval records were somewhat available on Ancestry, but still no Thomas Barr records were showing up. As soon as incoming passenger records were added to Ancestry I searched through them all the records for boats arriving into Liverpool between January and November 1918, but still no Thomas Barr. I began to lose hope, What if this wasn’t his name, or worse, what if the story wasn’t true at all? I kind of gave up. I periodically searched Ancestry to see if any new records had shown up, but no dice. Fast forward to late Autumn 2016. One lunchtime I was idly searching Ancestry, and I ended up on their DNA page. 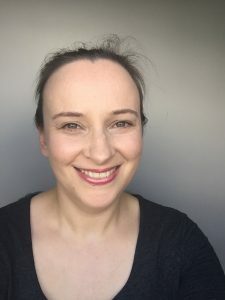 I had known about DNA testing before, and had thought about it, but I knew that I as a female could not test, and it was really expensive to test at first. And to be honest, it wasn’t something I thought my father would want to do, so I didn’t broach the subject with him. But on this DNA page, I noticed something different. The price had drastically come down, and the test information was telling me that I as a female could test, and it WOULD potentially find DNA matches on both my mothers AND my father’s side. I bit the bullet and sent off for a test. My results came through just before Christmas 2016. I was initially scared to look at the matches page. I knew that I would know instantly if the story about the American man was true (at that point very few Brits had tested, but lots of Americans had, so lots of results would mean American great-grandfather, very few would mean likely British). I looked at my ethnicity results first, working my way up to the DNA matches page. Nothing unexpected, pretty much British and Irish, leading me to believe my great-grandfather’s family were probably British; as at that point I still thought his surname was Barr, and likely of Scottish origin, that wasn’t unexpected. My very closest match was a predicted second or third cousin, who we’ll call Bob. The results indicated that I shared 234 centimorgans with Bob. However, Bob was tree-less and hadn’t logged into Ancestry in several months. I looked at the shared matches page and could instantly see a whole page of people who we had in common. I could also see that I didn’t recognise any of the names, and when I clicked through to the ones with trees, they were all located in the US. I went to the next closest match, this one a predicted third or fourth cousin, at 154 centimorgans who also matched with Bob. He also hadn’t logged into Ancestry for a few months He had a lot of tree information, and I could see that he had a very specific username. It was reasonable to assume that if I Googled the name indicated and what looked like a date of birth I might find him, so I ran a search. I immediately found him. Unfortunately what I found was an obituary, and it was clear it was for my DNA match. I was gutted. He had died just a few months earlier, after a terrible motorcycle accident. For a few days, I mourned the death of this person somehow related to me. I perused his picture online to try and find a trace of a resemblance. The obituary also led me to his father’s and mother’s obituaries, so I was able to actually build a fuller tree for him than he had built on Ancestry. There were pictures on the parents’ obituaries, and to be honest, I could see slight likenesses with both of them. 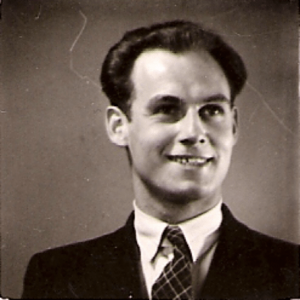 I spent a ridiculous amount of time basically finding all I could about this man, because I was so convinced that he was going to be the answer, how I found my grandparent. I checked in daily in case ‘Bob’ turned up online. At one point I thought Bob had probably passed away too and decided, for some bizarre reason that he had been the father of Charles, even though I had already found that Charles father had died a couple of years earlier than his son. 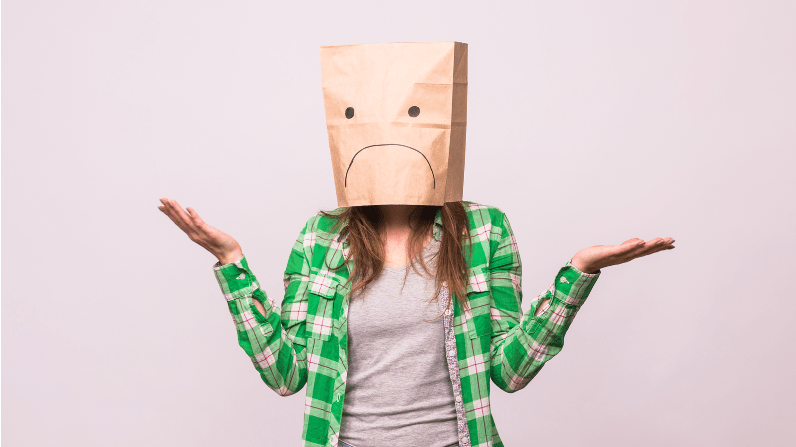 I put the internet down for a couple of weeks, I was disheartened. I checked regularly for progress on my father’s test results. In the meantime, I had read that if you are trying to find close DNA matches and you aren’t finding them on one site, you should test everywhere possible, or at least upload your results, so I quickly downloaded my raw DNA and uploaded it to Gedmatch, and tested at 23 & Me. I also tested at FamilyTreeDNA (at that point they weren’t able to accept Ancestry tests due to the fact Ancestry had recently changed their chipset). 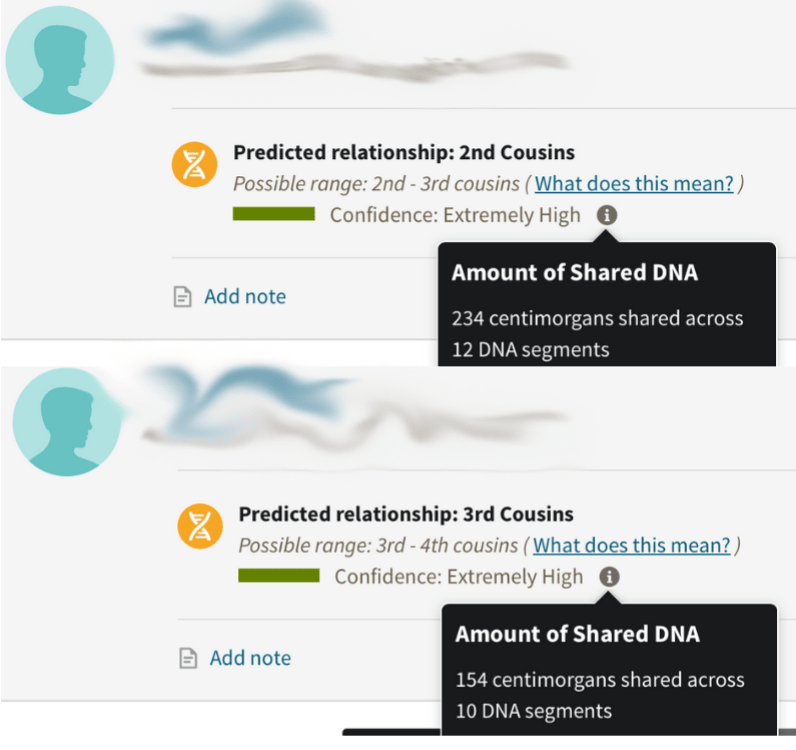 I didn’t yet understand that Ancestry had by far the biggest database at that time (and still does), and so I was unlikely to get any closer matches than Ancestry had shown me, and in fact, when the results came through, I didn’t, Bob and Charles were still my closest matches. When dad’s results finally came in after a couple of delays, I saw that, although he had many, many more results than I did, he didn’t have any closer matches than Bob or Charles either. I thought that was going to be the end of my search, and I would never find answers. Pst! For Part two, click here.